I decided to make this card for the Ribbon Girl challenge #12, which was to make a card using lilac and green. I have seen there is so many wonderful cards entered but I thought I would give it a go. For this card I used the Basic Grey Kioshi papers as it’s full of subtle purples and greens. Paper – Basic Grey Kioshi. Small Butterflies – Martha Stewart 3 in 1 punch. 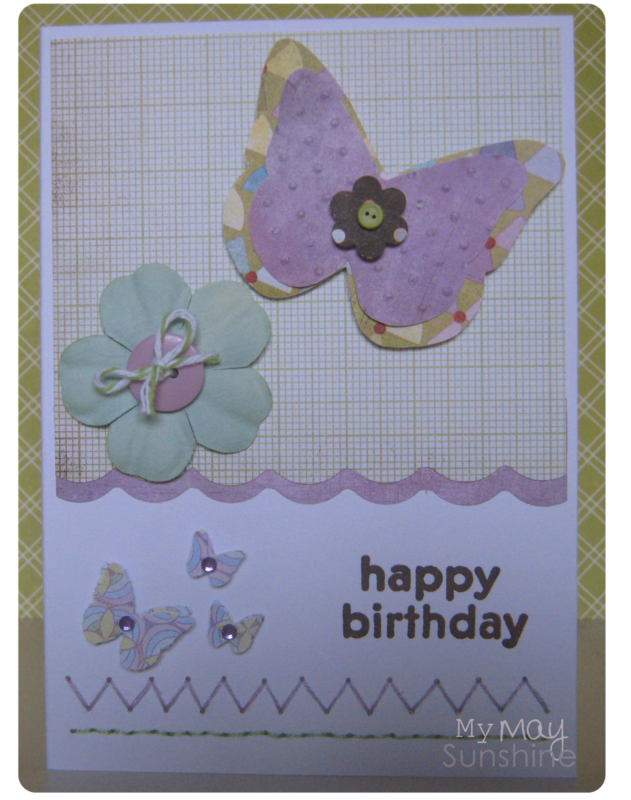 I did the top half of the card first with the big butterflies and the flower and it took me a while to decide what to do at the bottom. I finally decided to do some hand stitching in the purple and green and add some little butterflies and the card came together.